"Smart Calling should be on the desk of all sales managers so that they can empower their salespeople with a highly professional approach for engaging prospects and turning them into customers. When it comes to creating a salesforce that can prospect, Art Sobczak delivers the best results." "If you make cold calls, and want to make them smarter, better, more fun, and actually convert them to sales, this is the book! Buy it to increase your call–to–sale ratio, and your sale–to–bank account ratio." "You get only one chance to make the right impression in sales. If a top prospect gets a hundred calls a week, you want to be the one he remembers and buys from. Art′s proven methods create a unique brand for you and position your offering as the best option. Art′s advice isn′t just smart, it′s priceless." "Smart Calling effectively enables inside sales reps and organizations to accomplish a top priority: acquiring new customers. Art′s pragmatic and actionable techniques will increase productivity, success, and professional satisfaction." "Finally, a sales book that makes sense! 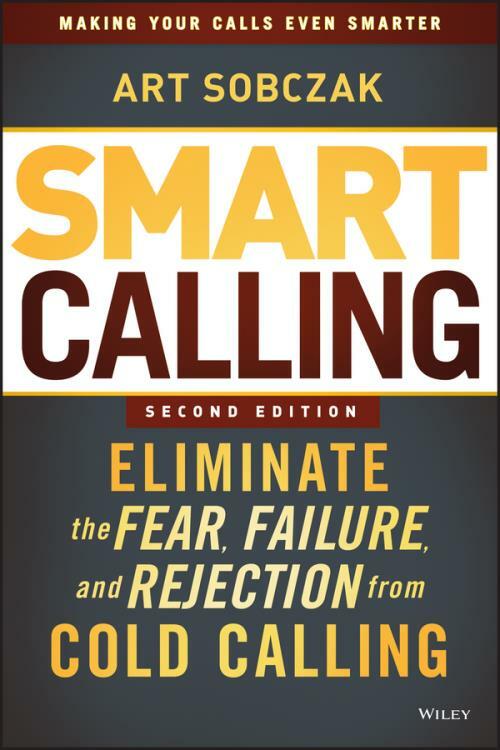 As a master sales trainer, Art nailed no, obliterated the number one fear of selling in this great book: cold calling! Let him teach you to stop cold calling and start Smart Calling!" "A must–read, must–own book for anyone who wants to increase their sales right away with less effort and more fun. I′m so sure this book is a winner for anyone who needs to call prospects that I′ll personally assure you that your results will increase noticeably after reading it, or I′ll send you your money back." Mike Faith, CEO and President, Headsets.com, Inc.
"If you need to make a first call to anyone, for whatever reason, this book is for you. More than common sense, it′s a real world, no–fluff, simple approach that anyone can use to be successful."